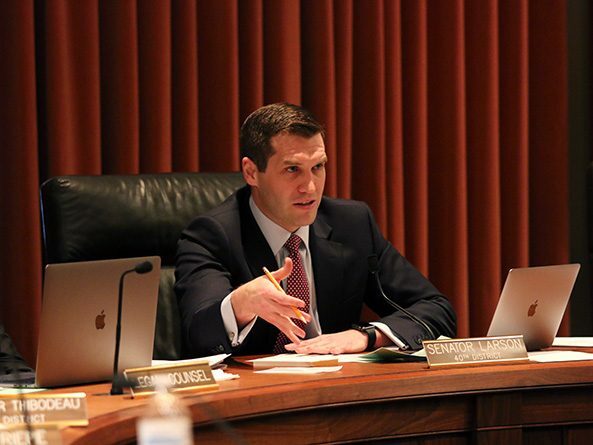 The General Affairs Committee heard testimony Feb. 5 on a bill that would make a number of changes to the state’s liquor laws. 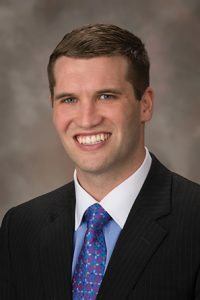 LB1120, sponsored by committee chairperson Sen. Tyson Larson of O’Neill, would make a variety of changes to the Nebraska Liquor Control Act. • prohibit expenditures from the Nebraska Beer Industry Promotional Fund to be used for salaries or compensation for employees of any licensee or entity representing licensees under the Liquor Control Act. Michelle Weber, testifying on behalf of Kum & Go convenience stores, supported the provision allowing increased growler size for Class C licensees with a bottling endorsement. She said 64 ounces is the most popular growler size for craft beer enthusiasts, so the change would justify the company’s investment in seeking the endorsement. “Kum & Go is interested in investing in Nebraska to offer growlers of craft beer in its stores,” Weber said. Les Meyer of the Nebraska Winery and Grape Growers Association testified in support of the music licensing portion of the bill, which he said would offer important protections from aggressive licensing companies to vineyards and other entities. “This bill will require [licensing entities] to provide updated information [regarding] who it is they represent so a proprietor can decide which of the entities they need to license with or if they can even afford to offer live music,” Meyer said. Kim Kavulak, representing the Nebraska Craft Brewers Guild, testified in opposition to a provision in the bill that she said would eliminate a key source of funding for the state’s craft beer industry. Currently, she said, the guild pays an executive director with funds awarded by a grant from the Nebraska Beer Industry Promotional Fund, who works full time to coordinate regulatory compliance, create tourism opportunities and promote Nebraska craft brewers. LB1120 would prohibit paying the executive director with those funds, she said. Hobert Rupe, executive director of the Nebraska Liquor Control Commission, also opposed the provision, saying violations by craft brewers often are the result of owners not understanding the intricacies of state liquor law. Having an executive director for the craft brewers’ guild provides a point of contact between the oversight agency and producers, he said. Rupe also opposed the provision prohibiting the LCC from requesting a long-form renewal application from a licensee absent a written request from a local governing board. He said the provision would fundamentally change the role of the commission, which he said strives to remove local political considerations from the licensing process. Also opposing the change was retired attorney Dennis Carlson of Lincoln. Without the ability for a state-level review of liquor licensees, he said, the situation in Whiteclay, Nebraska, likely never would have been resolved due to the vested interests of local political officials. The four beer sellers in the unincorporated community of eight residents were denied a liquor license renewal because the area lacked adequate law enforcement, he said. The community’s experience “provides ample evidence” that local governing bodies should not provide the only level of oversight, he said. “If the county board had the final say, the beer stores in Whiteclay would still be in business,” Carlson said. The committee took no immediate action on LB1120.